Hey y'all!! I'm super excited to be partnering with one of my absolute favorite boutiques again today, Southern Roots TX! I'll be styling one of their new arrivals, this amazing suede vest. Since September is nearing it's time to start planning those transitional looks. A good vest is the key to getting you through the end of summer/fall weather change. This is truly one of the most versatile items you can have in your closet. I wanted to show you that firsthand by putting together a few different outfits using the same vest. Which look is your favorite? Want to see more posts like this? Let me know in the comments below or email your suggestions to whatcourtwore@gmail.com. Have a wonderful Monday!! 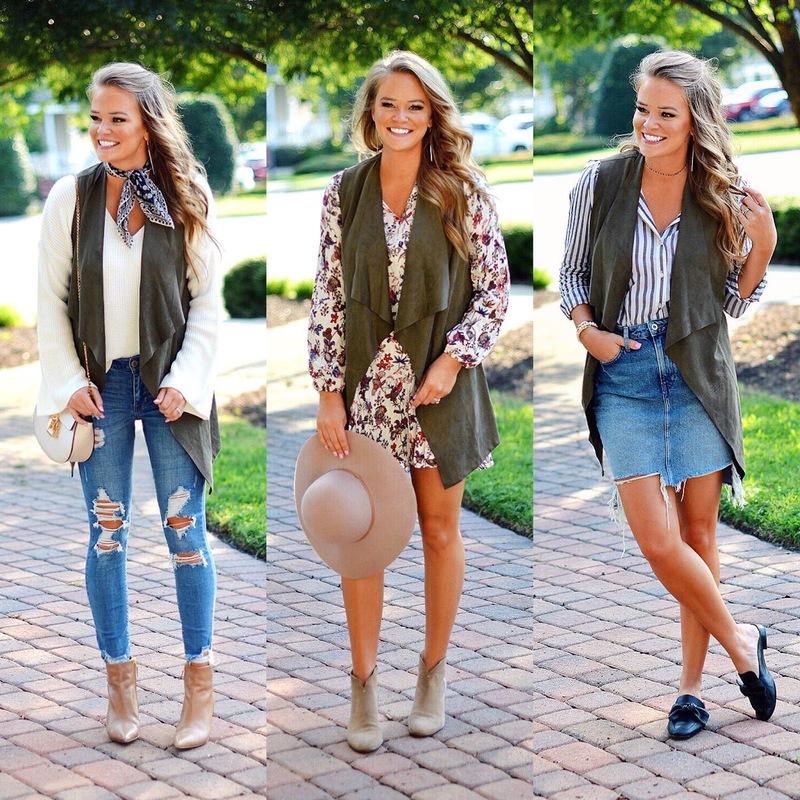 The first way you styled the vest is my favorite! I love this ! Showing different ways to style an item is the best! I can't decide which way I like the vest worn most. I gotta have one! This vest is definitely a must for Fall! I love how you styled all 3 outfits! I will have to check them out.